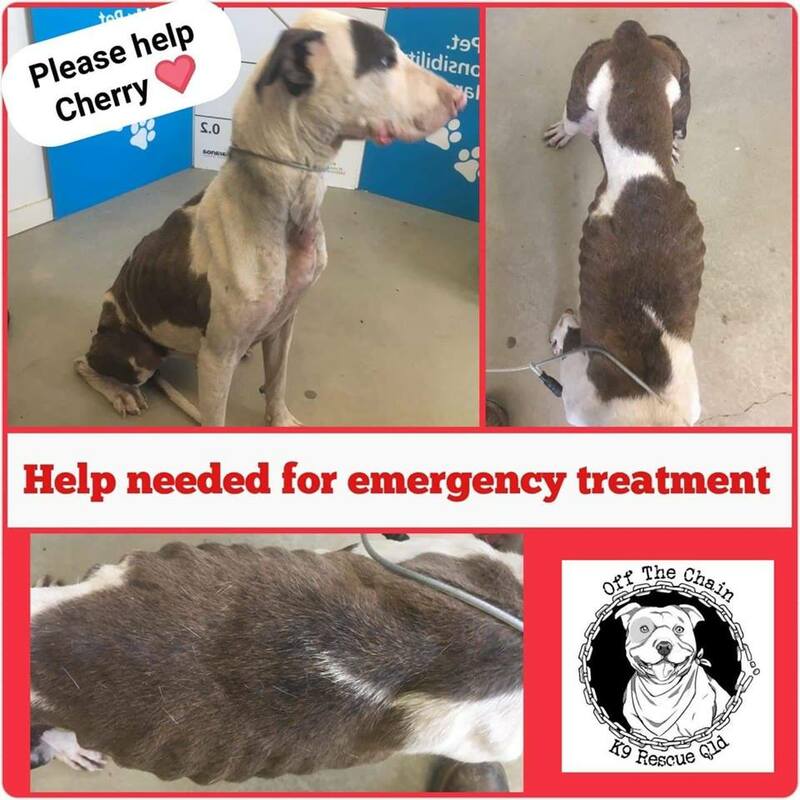 I need your urgent help for this girl. She will arrive into our care tomorrow and as you can see she will need immediate vet attention. We have renamed her Cherry, so it isn't her original name but rhymes and will be easily picked up. The photos don’t do the poor girl justice - she is extremely emaciated, and has an undershot jaw, a sore on her ear, fur loss, and skin issues. She's a Great Dane X, approx 3 years old who clearly has been neglected beyond belief. She’s going to need a lot of love and care. Her vet bills will add up as well as her food bills. We expect her initial bills to be above $1,000 so we are asking for your urgent help. We just couldn’t say NO. This is going to be a heavy time and emotional burden. But she’s worth every cent. Don’t you think? The stuff she needs for her skin will be determined by the vet. While she's too frail to be operated on yet, we need to think ahead so that when her surgery time comes, her bill doesn't crush us and stop us helping anyone else. Please donate so we can help her immediately. We can’t let CHERRY down now! Hope this poor darling gets better fast. Sending our love to Cherry for a speedy recovery! You guys are amazing!! !